Throughout the years, Special Occasion Catering has grown into the full service catering we offer today. Our recipe for success combines a flair for creativity perfectly with our experienced and gracious staff. We not only strive to exceed your expectations of quality service and decor, but our hope is to offer our clients a delectable culinary experience for each and every event that we have the pleasure of serving. Our extensive menu includes a long list of comforting entrees that provide every palette with a perfectly combined indulgent and creative flavor. Feel free to browse through our menu selections to find the perfect meal for your unique event. For us, it will always be about combining gourmet flavor with the right balance of nutrition and indulgence so our clients can serve their guests in a way that fits their style! In addition to a menu that doesn't disappoint, our staff will work to coordinate your event flawlessly. 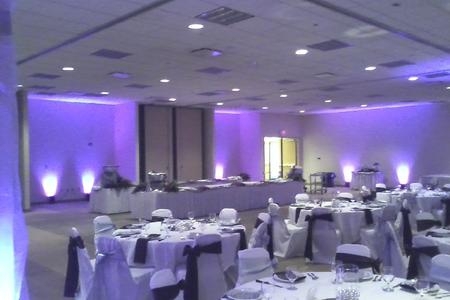 Our expert and experienced planners will make sure all of the guests are satisfied, all of the decorations are perfectly in place, and we will even coordinate with your other vendors to make your event worry free! We are fully insured and inspected, and we pride ourselves in making our clients the number one priority. Most catering companies charge rental fees for equipment, but at Special Occasion Catering we include all of the dishes, decorations, fabrics, props, and displays as part of the package so you will never be hit with any surprise fees! Our packages include everything from the refreshments to appetizers to full multi-course meals or buffets so you always have plenty to choose from! Event staff, Disposable Table Services, Punch Buffet, Equipment and Presentations. Plastic table covering for all tables plus guest table centerpieces. Lattice backdrop pillars, centerpieces for all guest tables, and fabric skirting. An offsite operations fee covering licenses, insurance, unemployment compensation, worker's compensation, delivery, leftover containers, and sanitation fees. This is not a gratuity charge. All buffets are left available for guest for two hours after the bridal party stars the line. Our staff remains for the duration of your event to make everything as smooth as possible.